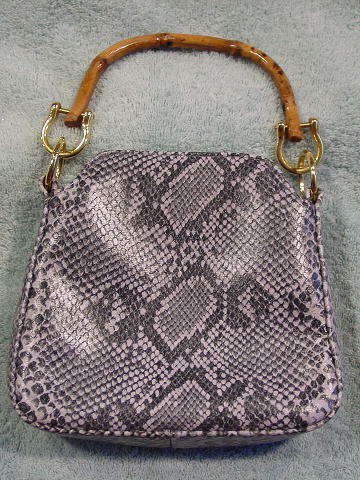 This plastic purse has a reptile pattern in dark gray and white. 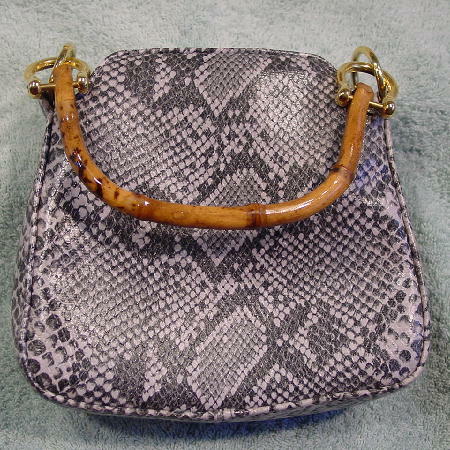 It has a rounded 8 1/2" long bamboo handle attached to the purse by two gold-tone metal loops. It has an interior center snap closure and a black fabric lining with one interior side zipper pocket and a fabric center divider.